There’s no better resource for off-the-beaten-path places to visit in Hawaii than a local. In case you didn’t know, residents of Hawaii are not called Hawaiians but “locals.” This is to distinguish between Native Hawaiians, who are ethnically Hawaiian, and residents who are of different ethnicities. Known on the mainland as “happy hour,” “pau hana” is basically the same thing but using Hawaiian words. As with any happy hour, pau hana occurs during those magical twilight hours, usually 4–7 p.m.
What is a “pupu” you ask? It’s what locals call appetizers or small plates that pair excellently with a good drink. These small plates include delectable tidbits such as poke (raw ahi chunks), fried chicken, fries, sushi rolls, grilled steak and a variety of seafood. 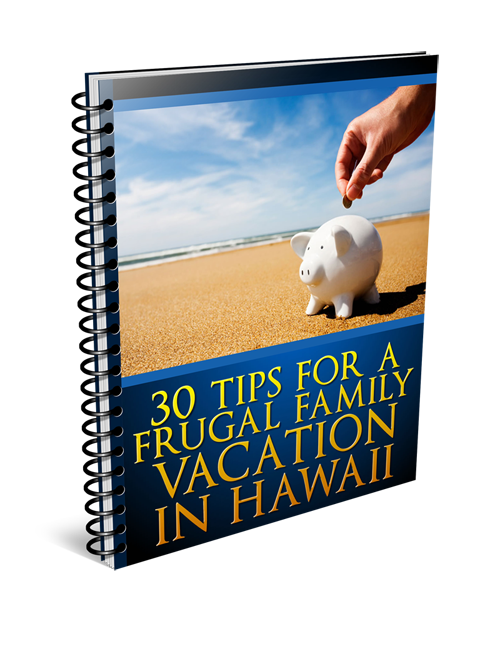 Even if you don’t drink alcohol, pau hana can still be a great time, especially if you’re on a budget. Some bars and restaurants have pau hana and drinks specials, usually at a 50% discount! Side Street Inn, a popular local haunt, is a terrific place to chill out with a few beers and lots of tasty pupus. The buzz of the after-work crowd is palpable, especially on the weekends, when locals embrace their time off with a couple of pitchers and plenty of comfort food. There’s nothing like copious libations with a joyful crowd. This is a great opportunity to mingle with the locals! Speaking of drinks, you might have heard that Kona has some of the best coffee in the world, and it’s true! You MUST make the most of the coffee when you are in Hawaii! If you’re an outdoorsy person and love adventure, many guidebooks and websites will suggest taking a nice hike in Hawaii. After all, it’s one of the best ways to enjoy the natural beauty of Hawaii and take in the spectacular ocean and mountain views. However, those sources will probably direct you to well-known tourist hikes, such as the Diamond Head Trail, the Makapu’u Lighthouse Trail or the Manoa Falls Trail. While these trails are great, they’re also very easy—too easy, some would say—and are often crowded with other tourists! If you want a good hike that’s popular with locals, there are numerous trails to choose from at all skill and endurance levels. Many residents prefer something that’s harder and less crowded than Diamond Head but not as hard as a 10-mile bruiser. For this kind of hike, I’d recommend Mariner’s Ridge, located in Hawaii Kai. Hawaii Kai is a residential neighborhood on the island of Hawaii, and there’s no parking lot at the trailhead. Instead, you’ll have to find street parking, and that’s when you know you’re in for a local’s hike! Mariner’s Ridge can get quite crowded on the weekends, when teenagers and folks with pets trek up this easy-intermediate trail. It’s best to check it out on a weekday or very early on the weekends. The trail is only about two hours up and down, and is one of the best “bang for your sweat” trails on Oahu. At the top, you’ll see truly breathtaking views of the Pacific Ocean, the Ko’olau Mountain Range and the lush green eastern, or windward, side of the island. Passing by the Hawaiian band playing in your hotel lobby pales in comparison to really seeing a live performance! Hawaii’s not just about hula music and ukulele strumming; the music scene in Hawaii is incredibly diverse. A quick peek in the local newspaper reveals tons of great concerts available for your viewing pleasure. Genres include Hawaiian (of course), rock, pop, jazz, blues, world, reggae and so much more. Venues can pop up anywhere, from bars to restaurants to hotels to parks. Notable venues for viewing a variety of concerts include Kelley O’Neil’s, the Irish Rose Saloon, The Edge at the Sheraton Waikiki, Mercury Bar, Mai Tai Bar at the Ala Moana Shopping Center, Duke’s Waikiki, Jazz Minds Art & Cafe, The Corner Kitchen, Chart House, RumFire, the Moana Surfrider Hotel and Chuck’s Cellar. 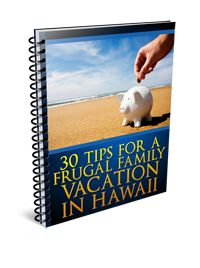 With this insider knowledge, you’ll be able to discover the more closely held secrets of Hawaii and stay out of the tourist traps that catch everyone else.